On Rep. Barton And BP: 'Shakedown' Or 'Misconstruction'? 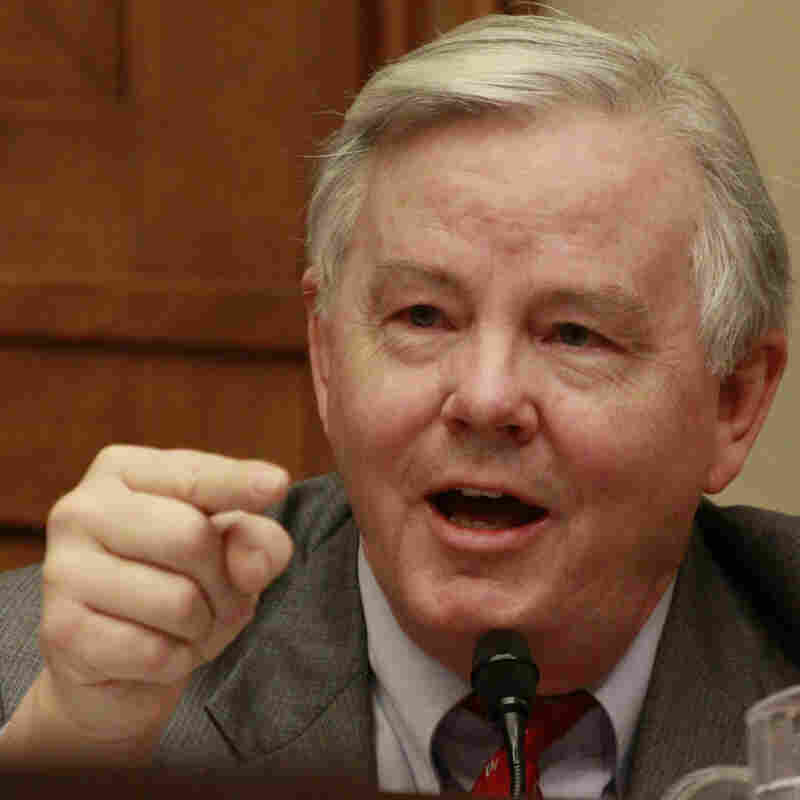 : It's All Politics After causing an uproar this morning by accusing the White House of organizing a "$20 billion shakedown" of BP, Rep. Joe Barton is now saying he's sorry. After causing an uproar this morning by accusing the White House of organizing a "$20 billion shakedown" of BP, Rep. Joe Barton is now saying he's sorry. The Texas Republican says his comment was "misconstrued" and that "I want to apologize for that misconstruction," The Hill reports. "I apologize for using the term 'shakedown' with regard to yesterday’s actions at the White House in my opening statement this morning, and I retract my apology to BP." As our blogging colleague Frank James says over at The Two-Way, nobody thought going into the day that BP CEO Tony Hayward wouldn't be the highlight of today's House hearing on the gulf oil spill disaster. But Barton's "shakedown" quip was immediately declared "outrageous" by Vice Presdient Joe Biden. White House spokesman Robert Gibbs said lawmakers from both parties "should repudiate his comments." Barton was referring, of course, to the $20 billion that BP has agreed to put in escrow. Under a plan announced by the White House yesterday, the money will be set aside to compensate victims of the disaster -- and will be independently administered by Kenneth Feinberg, who has overseen similar funds for victims of the 9/11 attacks and the Virginia Tech murders. "I think it is a tragedy of the first proportion that a private corporation can be subjected to what I would characterize as a shakedown, in this case, a $20 billion shakedown, with the attorney general of the United States who is legitimately conducting a criminal investigation and has every right to do so to protect the interests of the American people, participating in what amounts to a $20 billion slush fund that's unprecedented in our nation's history, that's got no legal standing, and which sets, I think, a terrible precedent for the future. "If I called you into my office and I had the subcommittee chairman, Mr. Stupak, with me who was legitimately conducting an oversight investigation on your company and said, if you put so many millions of dollars in a project in my congressional district, I could go to jail and should go to jail. "Now, there is no question that British Petroleum owns this lease.There is no question that BP — I'm sorry, it's not British Petroleum any more — that BP made decisions that objective people think compromised safety. There's no question that BP is liable for the damages. "But we have a due process system where we go through hearings, in some cases, court cases, litigation and determine what those damages are when those damages should be paid. "So I'm only speaking for myself. I'm not speaking for anybody else, but I apologize. I do not want to live in a country where anytime a citizen or a corporation does something that is legitimately wrong, is subject to some sort of political pressure that is, again, in my words, amounts to a shakedown."